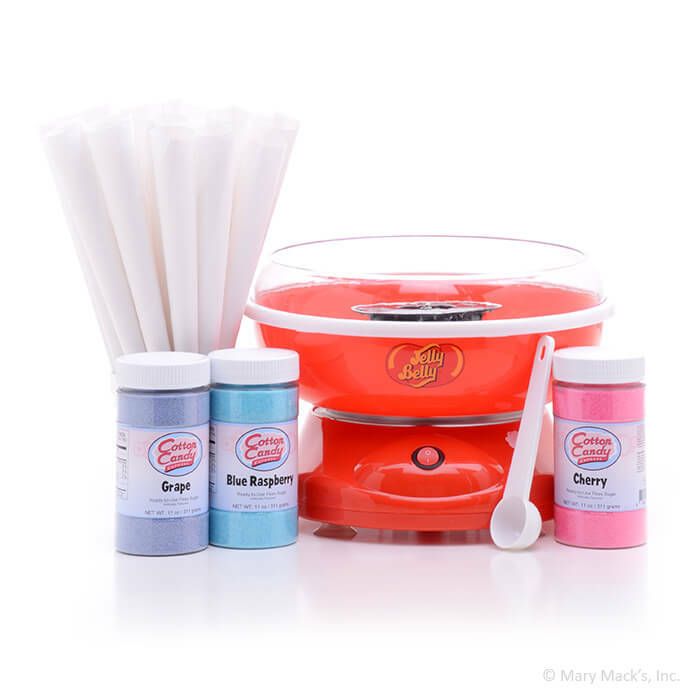 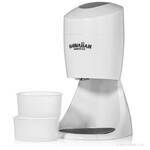 Get everything you need to start making dozens of fun and tasty cotton candy treats right in your own home with the Cotton Candy Machine and Sugar Fun Pack combination from Hawaiian Shaved Ice. 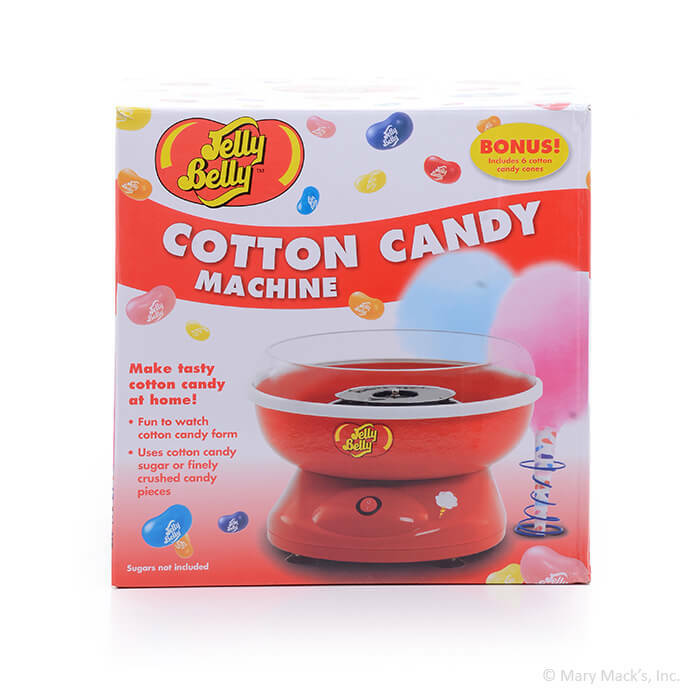 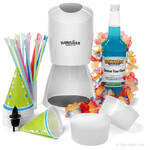 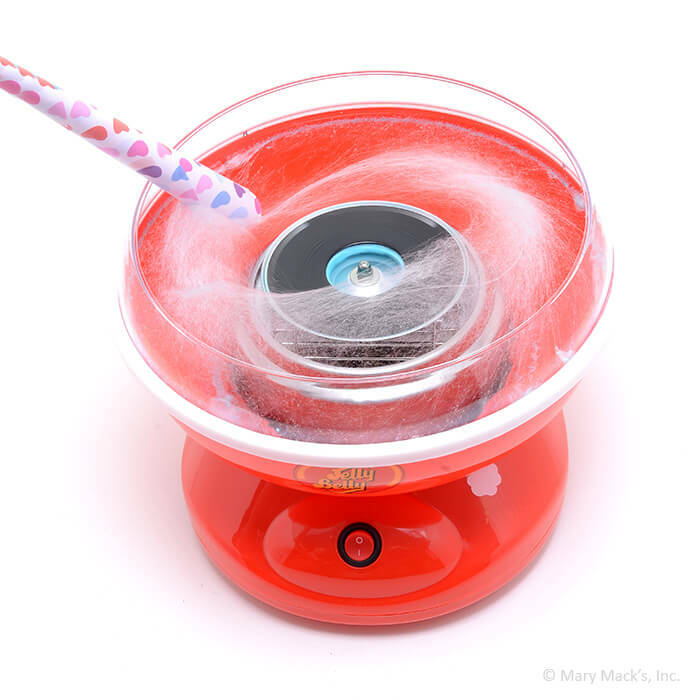 With the Cotton Candy Maker, anyone can make a colorful and fluffy cotton candy treat. 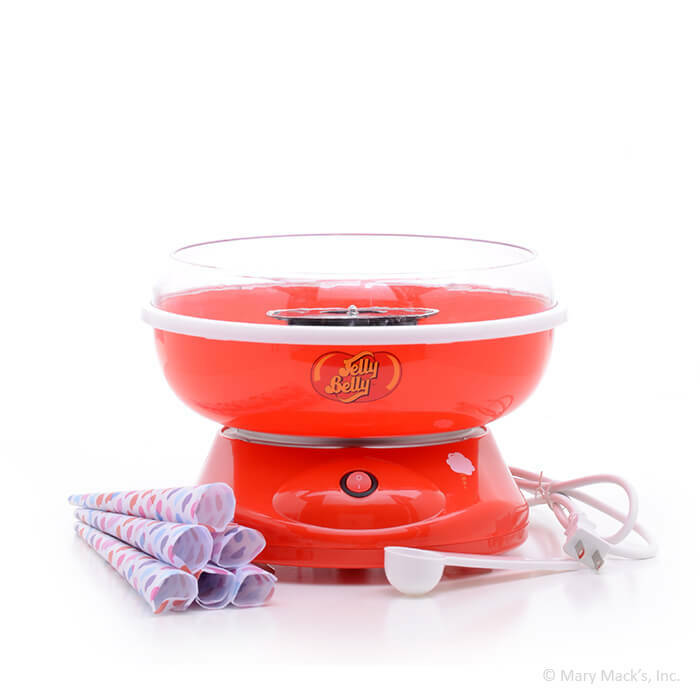 Since making it is half the fun, our Cotton Candy Maker has a clear rim so you can see the cotton candy strands forming. 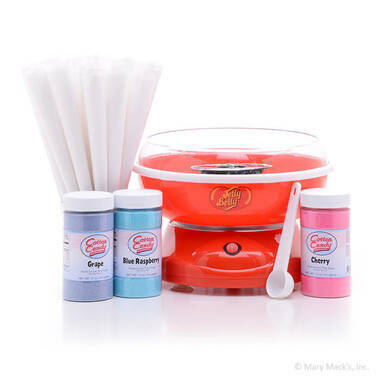 You get all this in addition to the measuring scoop and six paper cones that come with the Cotton Candy Machine so you can start making fun cotton candy treats right away.